When it comes to putting tires on your International Motor Scraper, the most important thing to look for is quality. Your whole operation depends on your heavy equipment being able to do the job you need it to do. Price is also important. If you are looking for top of the line Construction Tread 444B Motor Scraper Tires, 433 Motor Scraper Tires or 412 – 412B Motor Scraper Tires for your International Motor Scraper, and you want the lowest price you can get on them, you have come to the right place at Monster Tires! High-Quality Construction Tires: Your construction job depends on having high-quality construction tires. With our top of the line Off the Road Tires for International Motor Scraper, you have the heavy treads and high-quality materials you need to be able to count on your equipment, no matter how adverse the conditions are. 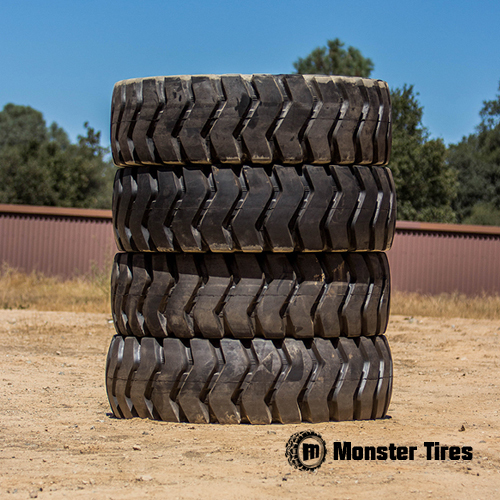 At Monster Tires, we specialize in Heavy Equipment Tires to get your piece of equipment rolling again. Contact us today and discover the Monster Tires difference!